Born at Longstratton, England around 1885, he came to Brandon with his brother Harry in 1903. Having learned the bricklaying and carpentry trades in England, he worked as a contractor and built many residences, including his own on 22nd Street. He also constructed bridges over rivers in rural areas around Brandon. The Fulchers had clearly been influenced by the growing radicalism of the British labour movement at the turn of the century. He ran in the 1910 provincial general election for the North Winnipeg constituency and, the following year, in the federal general election for the Macleod (Alberta) constituency, both times for the radical Socialist Party of Canada (SPC), being defeated each time. 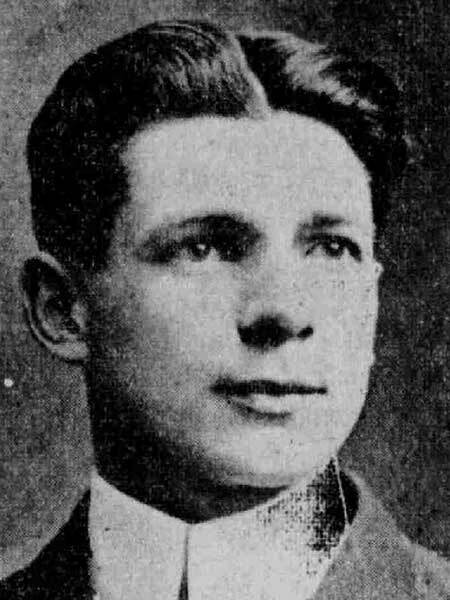 He was involved in the Brandon Trades and Labour Council from its earliest years and was appointed the Brandon correspondent for the Labour Gazette in 1908. Following the demise of the Brandon local of the SPC, he associated himself with the Labour Representation League and the Dominion Labour Party. On 27 December 1911, he married Mabel Smith (1889-1925) at Brandon, with whom he had three children: Edna Irene Fulcher (1913-c1991), Edmund Gilbert Fulcher (1916-1923), and Mabel Fulcher. After his wife’s death, he married Frances Theresa Warner (1889-1954) at Brandon on 20 March 1926. The family lived at 404-22nd Street, Brandon until around 1944, when they moved to British Columbia. He was alive in late 1954 but his whereabouts after this time are unknown. “Brandon socialist a candidate,” Manitoba Free Press, 1 September 1911, page 2. Good Roads Board Records, GR0016, Schedule A0215, G10707-G10706, Archives of Manitoba. Henderson’s Directory for Brandon, Peel Bibliography, University of Alberta. Death registration [Frances Theresa Fulcher], British Columbia Vital Statistics. The Development of Winnipeg’s Socialist Movement by Ernie Chisick, MA thesis, University of Manitoba, 1972, 78 page. Our Past and the Future: Rapid City and District by Rapid City Historical Society, Rapid City, 1978, page 235. “‘A Square Deal for All and No Railroading’: Labour and Politics in Brandon, 1900-1920” by Tom Mitchell, Prairie Forum, Vol. 15, No. 1, Spring 1990. “Fulcher families attend reunion,” Rivers Gazette Reporter, 12 August 1992, page 3.